The London house-music producer begins to branch out. In the span of a few short years, London’s Maya Jane Coles has come out of nowhere to become one of house music’s main players, a position she’s recently cemented with a beautifully constructed contribution to the !K7 label’s DJ-Kicks mix-CD series. Time Out: You recently made your NYC debut at a Blkmarket Membership party. The crowd loved it, of course—but what are your personal impressions about the night? Maya Jane Coles: The party was awesome. It felt amazing to get such a warm recepiton that night. I really felt the freedom to take the music in any direction that I wanted, which is really liberating for an artist. Time Out: New York’s clubbing scene isn’t quite what it used be; still, there is a lot of history here, dating back to venues and parties like the Loft and the Paradise Garage through to Body & Soul and Twilo. Does that history at all affect the way that you play in NYC? Maya Jane Coles: New York City is just special in general, isn’t it? No matter where I go, I try and do something that feels right for the party, but with my own stamp on it. I listen to all sorts of music, really. To me, playing in New York just means you can do your own thing. But you have to do it really well! Time Out: One of the tracks that got you a lot of attention here in NYC is your version of MK’s “4 You,” which was a massive hit here when the original came out in ’93. Did you feel any trepidation about reworking such a beloved track? 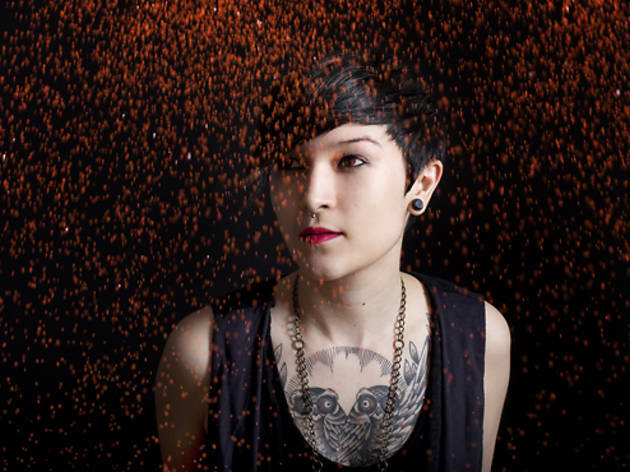 Maya Jane Coles: I don’t get nervous working on a track, really. If I agree to take on any remix, it’s because I have some kind of affinity with the track and a strong vision of where I am going to take things. I’ve been lucky enough to get my hands on some really special acts like Massive Attack, Tricky and Little Dragon, as well as MK’s track. I always try to respect the original when I do a remix, but with my own slant on things, and that’s what I hope I achieved with the “4 You” remix. I’m really pleased that so many people seem to have responded so well to it. Time Out: You were already quite well known in the electronic-music world, but it seems as though the recent DJ-Kicks mix increased your visibility even further. Does it feel that way to you, and if so, has it opened up more opportunities for you? 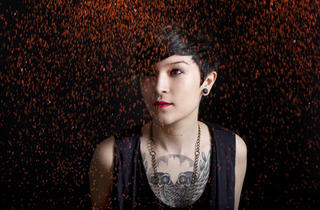 Maya Jane Coles: I keep getting more gig offers coming in from every corner of the globe, for sure. And I’ve had more and more people approaching me to produce for them, which I find really exciting as I think of myself as a producer first, really. I’m currently finishing off my debut album, but once that is locked, I think you’re going to see me do a lot more work for others, like when I recently produced “Why” for Alpines. Time Out: The mix-CD has a few tracks—notably, your two-steppy Nocturnal Sunshine cut, “Meant to Be”—that venture away from the deep-house rhythms that you’re best known for. Is that something we can expect more of in the future? Maya Jane Coles plays Coachella Sunday April 14 and Sunday April 21. This article originally appeared in Time Out New York on May 24, 2012.